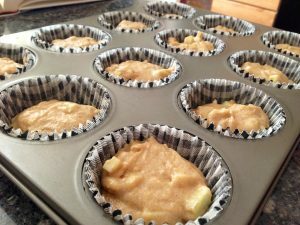 Upon request, here is the recipe to those amazing Caramel Apple Cupcakes that my aunt, DeeAnn Judd, brought to me a couple of weeks ago. I had had a very rough day with a sick baby and screaming kids. She had heard through the grapevine about my day. Right before dinner there was a knock on the door. My aunt showed up with Carmel Apple Cupcakes. DELICIOUS! These taste just like a carmel apple, which is my favorite treat! I made a few tweaks to the recipe. One being I had it make 12 cupcakes opposed to 24 because my family is little and could never eat that many cupcakes. The recipe can very easily be doubled to make 24. Sift together flour, sugars, baking powder, spices, and salt. Cut butter into pieces and cut into flour mixture until fine crumbs are formed. Add egg, milk, and vanilla. 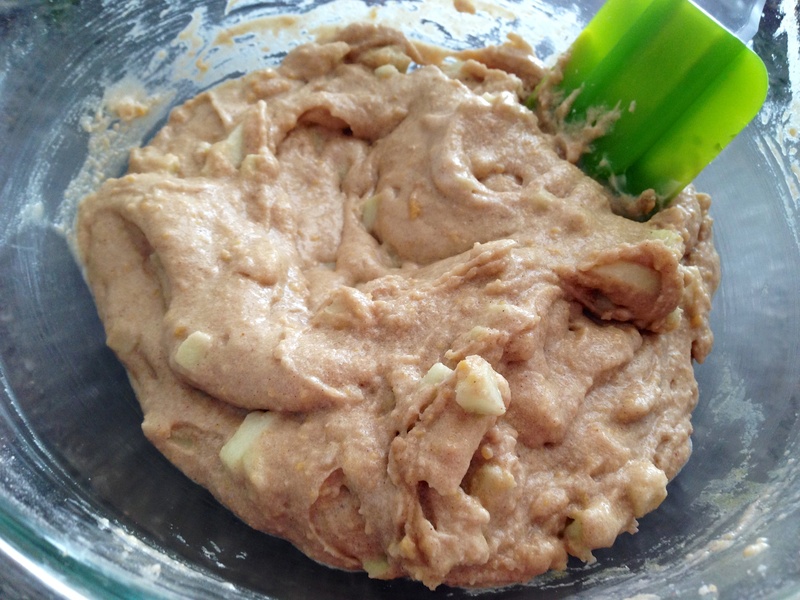 Beat until completely blended; scraping edges. Fold in apples. Line cupcake pan with paper liners. 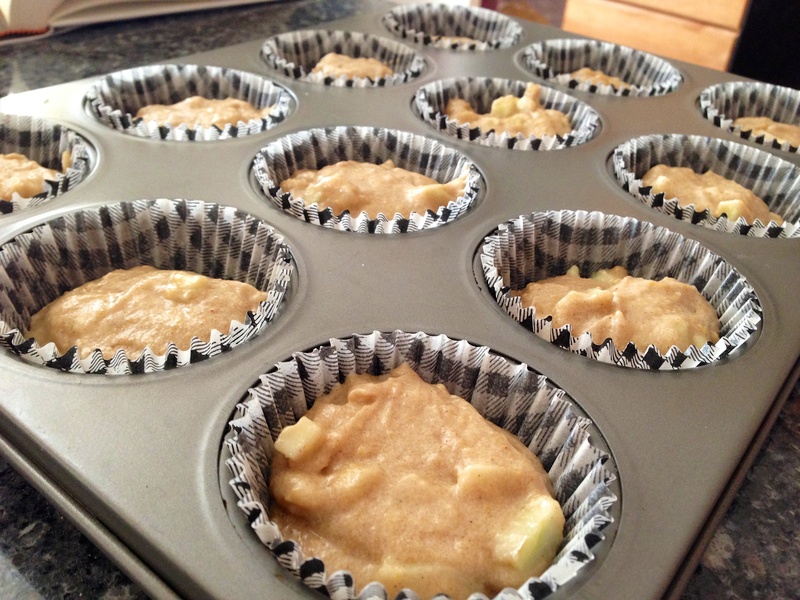 Distribute batter evenly between 12 cupcake liners. Bake at 350 degrees for 20 minutes, or until inserted toothpick comes out clean. Cool for 10 minutes before removing to wire rack to finish cooling. Caramels – In a small saucepan, cook the caramels and milk over low heat until smooth. Spread over cupcakes. Let cool completely before frosting. Frosting – Beat butter and cream cheese until smooth. Add powdered sugar 1/2 cup at a time; making sure completely mixed until adding another 1/2 cup. Add vanilla. Scrap edges and give one final mix. Pipe onto caramel covered cupcakes. Add toffee bits on top. Insert sucker stick. Optional: Wrap in cellophane and tie on tag (PDF attached below). 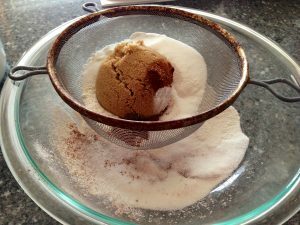 *Note: I have heard that you can use a spice cake mix and add the apples, and follow directions for baking on the cake mix box, but that will make 24 cupcakes. 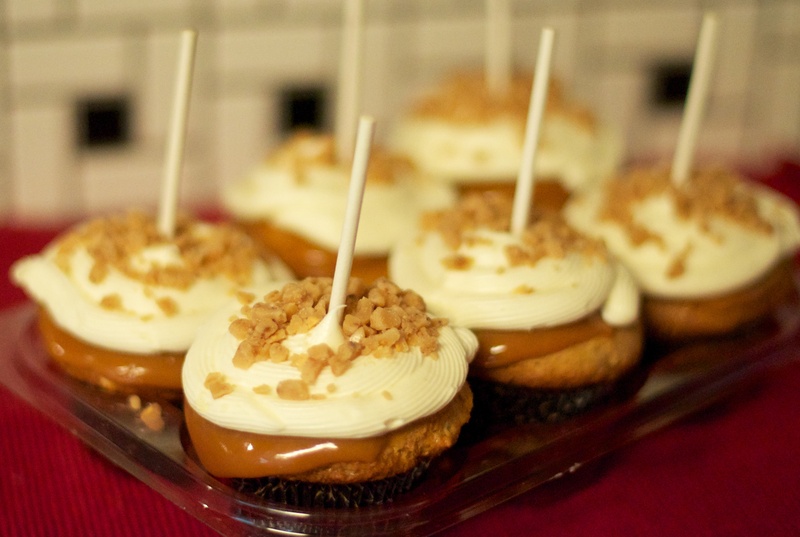 So you would need to double the caramel and frosting recipe. 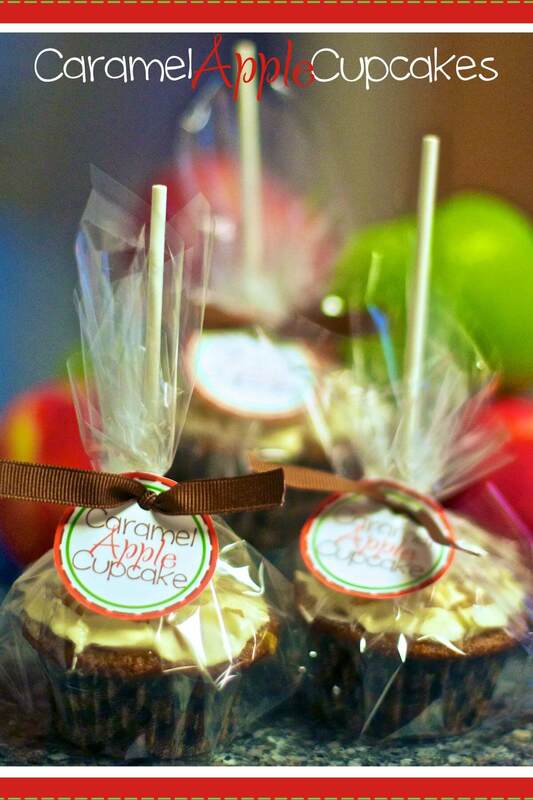 Below is the Caramel Apple Cupcake tags I made to use. 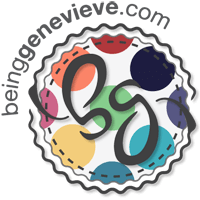 I have a template with 24 tags (if recipe is doubled) or a template with 6 tags on a 4×6. This way I just printed 2 of the 4×6 prints on my computer to make all 12 tags I needed. Enjoy!